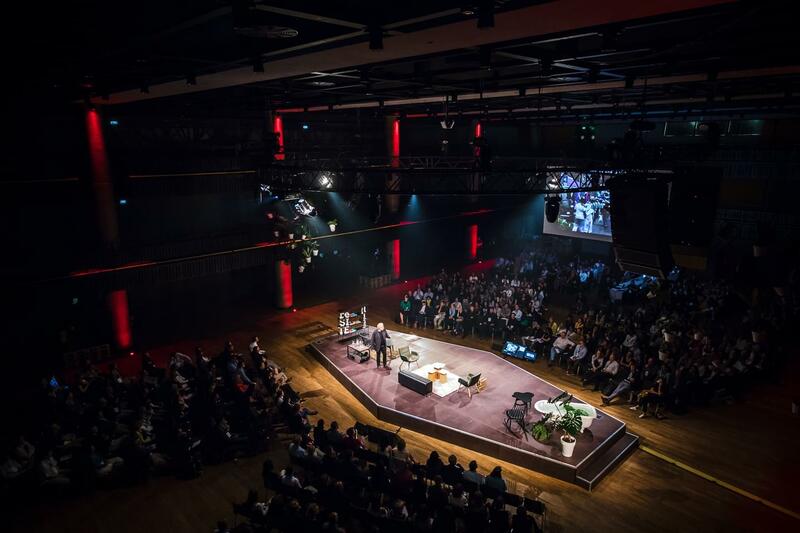 reSITE Prague's flagship international conference is an annual summit celebrating inspiring design, development and positive impact on quality of life in cities. This world-class event brings together thought leaders, mayors, architects, planners, investors, artists and activists from around the world, across the spectrum of urban development. reSITE is one of the most important conversations of its kind. 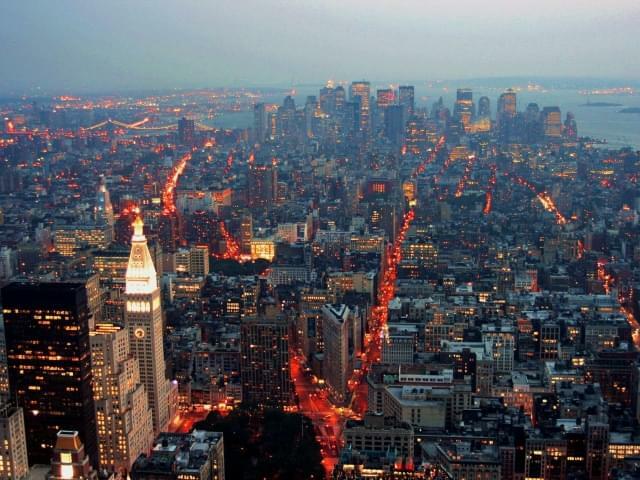 "CityLab has been a proud media partner with reSITE in their mission to bring smart, energetic and intelligent conversations about the future of cities. Onstage and in the audience, reSITE brings together the people who are taking the lead in designing our urban environment and creates an atmosphere where we learn, think and dream together. 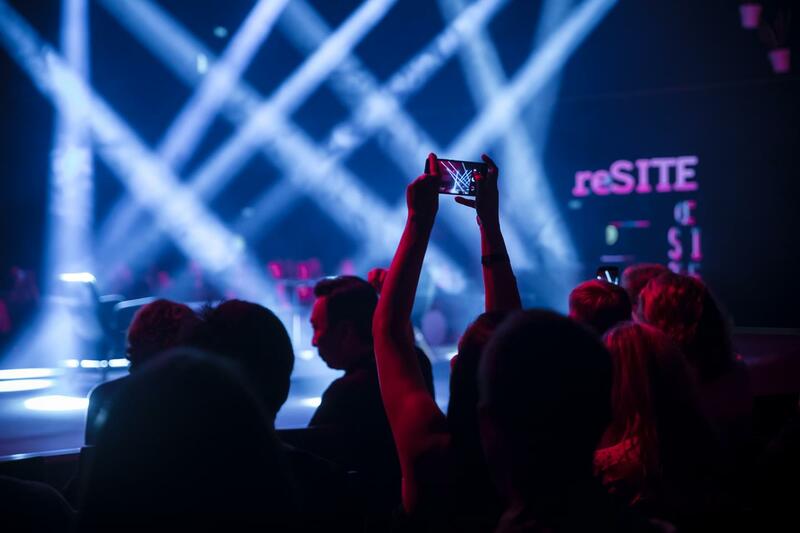 reSITE is one of the most important conversations of its kind"
“Truly one of the best conferences I attended in the last years"
This year in Prague we ask - is it time to reconsider what a better city looks like? The tide has clearly lifted all boats over the last few decades of urban development, yet gentrification and rising costs of living pose considerable challenges for city leaders, investors, planners and architects to design a city that works for everyone. As always, reSITE will connect innovators across sectors to find solutions. Prague, centrally located in Europe and the world, offers a unique architectural setting to make new connections, inspire more positive impacts, and find more solutions to improve our lives in cities. Through panel discussions, keynotes, field trips, interactive workshops and tours, again - the event seeks to be a one-of-a-kind experience combining the best ideas in the world from the bottom to the top. When people feel they created or were part of something, they take care of it and feel like they belong. It’s not only about designing the spaces but also the social reconstruction. You can’t talk about housing in isolation. Housing needs to have a love affair with planning. How small can a dwelling be? How to separate private and shared spaces? Have you also outsourced your living room to a nearby café? Is the permanent temporary the new concept for future homes? How to design flexible homes? Meet the mastermind of BMW Mini Cooper's new portfolio of residential concepts Mini Living that created sensation at Milan Design Week, Oke Hauser, in a salon discussion with international guests. Living in the “endless city” of planetary urbanization will require the regeneration of vast swaths of cities will millions of new homes. Where will they be built? Who will live in them, and how will they pay for their constructions? LSE Cities director Richard Burdett sets the stage for reSITE 2018 with a sweeping overview of cities and housing along with a closer look at the regeneration of east London. Rather than regenerate from the top-down through mega-projects and gentrification, how can we build and re-build neighborhoods by hand from the bottom-up? Assemble’s Louise Schulz introduces the Turner Prize-winning collective’s approach to restoring Granby Four Streets in Liverpool through a combination of craft and local resourcefulness. A house is not just a home in the networked era. AirBnB’s Anita Roth explains how the company is transforming the look, feel, and uses of housing in cities around the world, and makes the case that the flexibility it provides is good for cities and homeowners like in an ever-connected society. Just as co-working has evolved from an office alternative to the future of the office, how will co-living mature from its current niche into a rapidly scalable urban housing solution for millennials who can’t or won’t pursue traditional home ownership? Dara Huang, founder of Design Haus Liberty, discusses her next venture along the lines: Viva House. Prague will never bristle with high-rises nor teem with informal settlements, so what does the future of hyper-mixed-use development look like in a low-slung historic city? Penta partner Petr Palička discusses the firm’s approach to urban revitalization with Forbes’ Petr Šimůnek. The unstoppable rise of co-working has led to “co-living” — micro-housing memberships advertising flexibility and conviviality in lieu of home equity. MINI Living’s Oke Hauser explains why an automaker has embraced co-living and co-work before being joined by WeLive’s Darrick Borowski and Design Haus Liberty’s Dara Huang to explore how co-living represents both the past and future of housing. 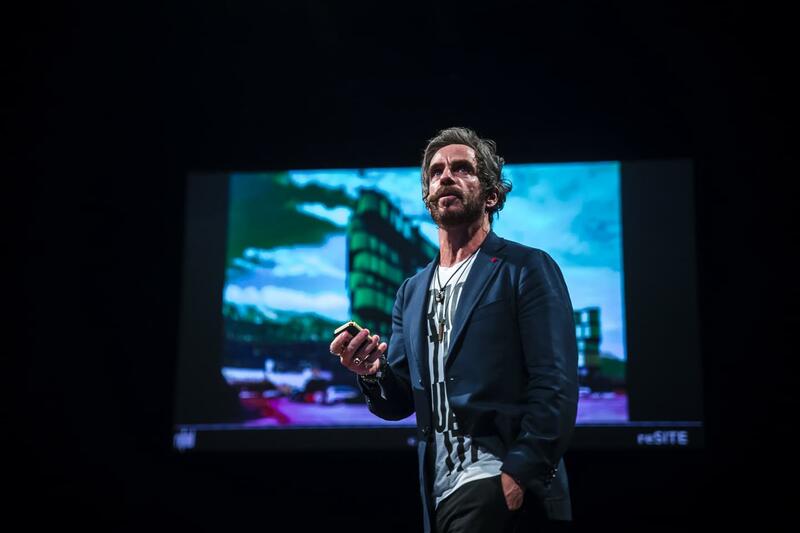 Hailed as one of Mexico’s most prominent young architects, Michel Rojkind has explored the architectural possibilities of homes since the beginning of his career, while co-founding the MXDF Urban Research Center in 2004 to examine the broader social and economic contexts of housing. He will share lessons learned from his wide-ranging practice in both this presentation and brief discussion with reSITE chairman Martin Barry. From Rojkind: Rojkind Arquitectos’ principal goal is to give back to the community and add social value to each project we carry out. To do this we have worked in a “Shared Responsibility” strategy which focuses on how each of the people involved plays a key role to have better communities and better cities. By reprograming the program given by the client, with a group of experts in different fields we can enhance the end result to have a better outcome and create better social relationships. 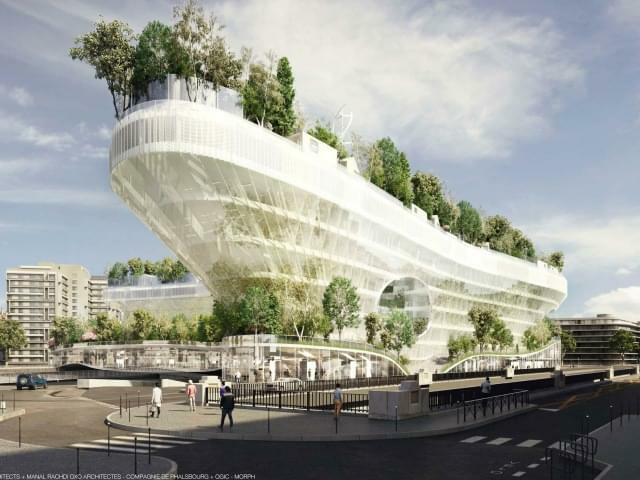 In this process we find links that strengthen and amplify our architectural platform. As a result, an extended program creates opportunities that strengthen the original plan with the new programs that produce new social relationships in the spaces. The middle city is not a place but an urban condition that seeks to expand the middle ground between an ever stronger private-public divide. 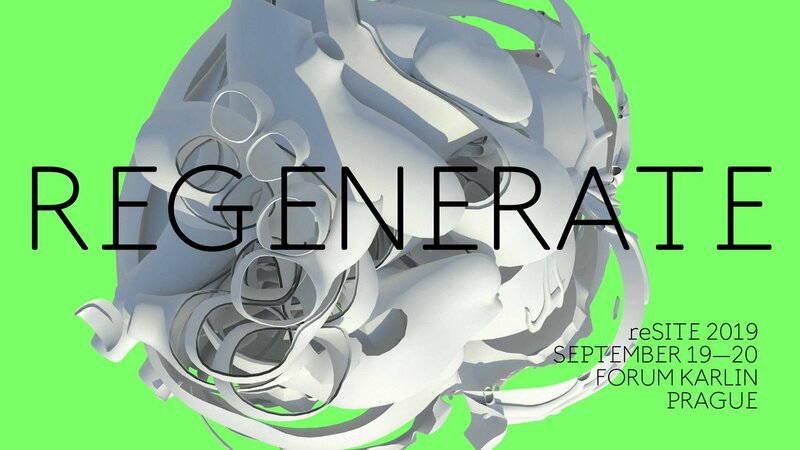 Drawing upon his work designing modern kibbutzim and teaching at MIT, Rafi Segal explores ideas on housing and the multiple scales, strategiesand forms in which new collectives reshape how and where we live. LSE Cities’ Richard Burdett will discuss the Urban Age project and what he’s learned as a formal (and informal) advisor to many of the projects that have recently reshaped London. Housing affordability and inclusion are among the most pressing issues facing cities around the world. What tools are at their disposal to help mitigate this crisis? Architect Florian Koehl will discuss the possibilities inherent in Berlin’s collectively-designed and financed Baugruppen; Ruben Koekoek will describe the alternative financial models of social investing; and Petra Marko will talk about her firm’s regional approach to more inclusive planning. As a company focusing on student housing and young professional living concepts, we are trying to address international students and young professionals from all over the world and connect them with our brand and product. In our approach to reach those target groups, we are trying to convey a real impression of how it really is to live in one of our apartments or houses and what kind of features the customer can expect when moving in. Our approach is to make our product tangible, even for internationals who cannot visit up front. Trying to do so we scanned our houses in 3D and are able to offer digital viewings of our houses on our website. In addition, we connect those digital viewings with several Marketing campaigns at different touchpoints. In our master class, we would like to show some examples of our campaigns and also how we integrate information and emotion into our digital viewings. We are eager to discuss some more ideas and solutions to bring the experience of our product to the customer with digital solutions in the early stage of connecting to our brand and product. Open to public. Register Here!! Michel Rojkind will talk about his early work on housing, his collaborations with fellow Mexican architects, and what he’s learned after fifteen years of leading his own practice. Once struggling under fiscal austerity, Lisbon has become a hotbed of innovation and investment after liberalizing its residency requirements and renovating its urban core. Paulo Carvalho tells Monocle’s Carlota Rebelo how the city developed a strategy to make itself more attractive to global talent. Czech-born Petra Marko will discuss working beyond the traditional boundaries of architecture, how and why she founded her own firm, and what it means to be a considered a “young” architect. The radical choreographer Elizabeth Streb is justly renowned for pushing the limits of her art and company. But she is less known for the vital role her studio plays as a neighborhood hub in Brooklyn — especially for students. Streb will describe how cities inspire her work, and how they in turn inspire her to help her own. reSITE’s Martin Barry joins four speakers in recapping the themes and ideas of the day. Learn how to face extreme climatic and other challenges of today. In 2017, when many Puerto Ricans have lost their homes overnight, in the catastrophic damage from the hurricane Maria, people got activated themselves in a very new and unexpected way. An exploration into the current crisis in housing and how a more integrated systems approach to living, working and neighborhoods might point towards a solution for the future. The afternoon session will be dedicated to a series of workshops curated by Shared Cities: Creative Momentum team. The workhops leaders coming mostly from Central European countries will focus on co-living, networking of neighborhoods, sharing of data and resources. Some of the workshops will utilize gaming, immersive and experiential activities. The capacity is limited, registration needed. Priority registration for conference attendees via conference app. Remaining capacity will be open for registrations to general audience via reSITE.org. Together we will test some playful and experimental ideas that bring space sensation to a new perspective. Famed for designing skyscrapers, Jeanne Gang is more interested in the spaces between buildings. How can architecture create relationships between people, rather than simply house them? In her opening keynote, the MacArthur Fellow “genius” will explore methods for transforming residences into a city and community. New technologies and infrastructure such as solar panels and autonomous vehicles have been pitched as revolutionary, but so far reflect the same old 20th century suburban lifestyle. Is another city possible? Arup’s Dan Hill will ask how might we redeploy energy, housing, and infrastructure in different ways reflecting different values? What kind of culture do we want? 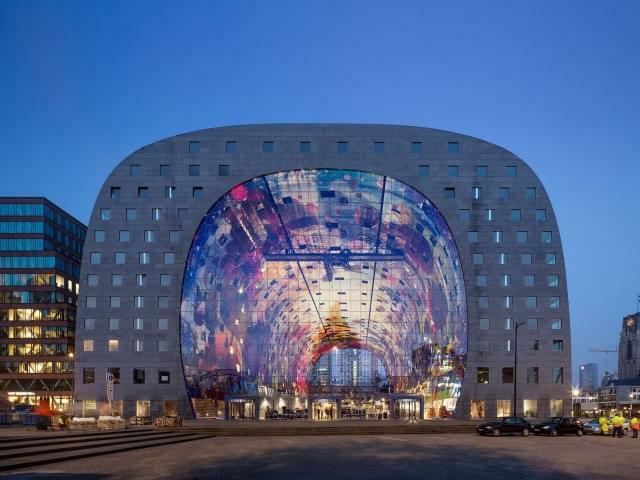 Housing as a public good and human right has met its end at the hands of hyper-financialization, argues OMA partner Reinier de Graaf. Drawing from his recent book, de Graaf will pinpoint where the post-war utopian dreams of social housing died and where the market asserted itself above all. How can architects reassert their sense of agency when they’re hired to add a veneer of aesthetics and investment to projects? Hong Kong is one of the densest and unaffordable cities on Earth, making it a natural laboratory for extreme experiments in housing. 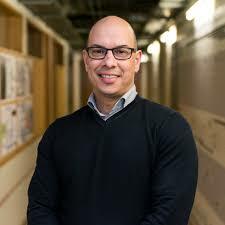 James Law will present his concepts for new types of hyper-flexible modular housing that point toward new models of design, construction, and urban living. Renowned for his seemingly delicate structures and deft touch with wood, architect Sou Foujimoto hints at radically different ways to design, construct, and organize housing. 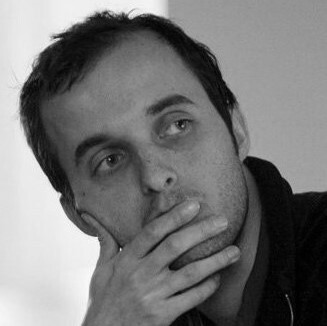 His lecture will be followed by a brief Q&A with Experimenta’s Guta Moura Guedes. The vast majority of the world’s housing has been built by hand, informally. We cannot solve or even understand the problems of housing shortages and inequality without understanding how and why more than a billion people choose to live in what are often dismissed as slums. Rather than razing or rebuilding these places, how can we help people improve their homes? Tokyo-based Sou Fujimoto will discuss working with wood, his approach to traditional Japanese forms and techniques, and what it means to be a Japanese architect today. Technology, combined with austerity and resiliency, points toward new models for rebuilding homes after disasters using lightweight infrastructure, new fabrication methods, and grassroots organizing. Apoyo Mutuo Mariana’s Christine Nieves will tell of how the survivors of Puerto Rico’s Hurricane Maria have been forced to save themselves, while Arup’s Dan Hill outlines new developments that may help stricken communities in the future. One of America’s most celebrated architects, Jeanne Gang will reflect on her multidisciplinary approaches to projects, on Studio Gang’s culture as a practice, and how to handle the pressures on her firm to grow. Born in China and based in London, Dara Huang will explain how she manages a young firm with offices in New York and Guangzhou, particularly one so engaged with clients in emerging markets. Liam Young and Tim Maughan will present live commentary on their drone-shot short film “In the Robot Skies,” before being joined by guest curator Greg Lindsay for an incisive conversation on the future of housing in the era of “smart homes,” pervasive surveillance, and insidious technologies competing for our attention. Guest curator Greg Lindsay is joined onstage by four of the day’s speakers to reflect and recap on the conference. What sharing practices are currently employed in Central and Eastern Europe? Do we still want to live together? Is it even possible? Join our discussion and the launch of the second international issue of the acclaimed Magazyn Miasta / Cities Magazine on sharing in post-communist cities. Last year in June we presented the first issue of the Shared Cities magazine exploring how the legacy of the communist system shapes everyday life and the current culture of sharing in Central and Eastern European cities. A year later, we take a closer look at the contemporary sharing culture in the region. What forms of sharing from communist times are still in use? What sharing practices do we employ today? What spheres of our urban lives are influenced by sharing? How much do people care about what they privately own? The launch is part of the reSITE ACCOMMODATE 2018 conference taking place in Prague’s Forum Karlin on June 14-15, 2018. Copies of the Shared Cities magazine #2 will be available for free. Capacity: 50 people, Language: English Prague is well known for its historic architecture, having been the capital of the Holy Roman Empire during the 14th century and one of Europe’s important cities for centuries. However, the range of architecture from the 20th century reflects Prague’s position as a center of art and style. The run with Rojkind includes some famous buildings from the 20th century, running through parks, street art in the lead with masterpieces made by famous contemporary artist David Černý and insider tips with cafes and specialized fashion & design shops that shouldn’t be missed. And all of this with the main figure of this year’s conference reSITE — architect and urban planner Michel Rojkind. We meet him at the “Chotkovy sady” tram stop and then run as quick as you can, despite this is a run without contest — it’s just for fun. You will get directions and you can run on your own if you would like. The run ends at Manifesto, a brand new food and culture market in the center of Prague that has turned an abandoned area into a place full of culture, design and gastronomy, with a great Saturday breakfast. The smart one who speaks a human language. You don't like my ideas? I have others. 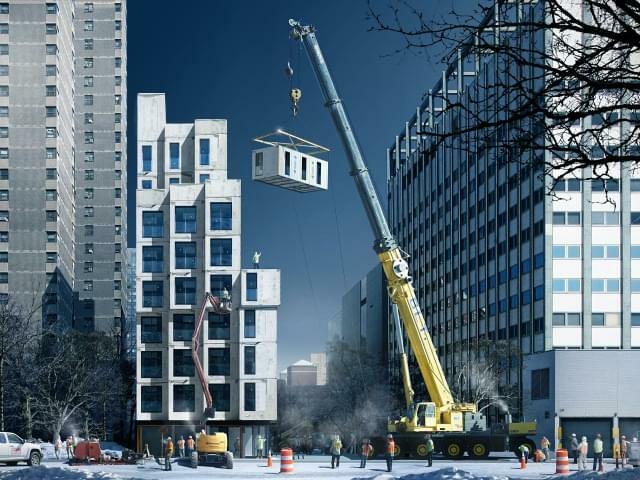 How Small Should a Livable Apartment Be? Mimi Hoang from nArchitects spoke at reSITE 2016 about micro-units and affordable housing. You will enjoy walking through the Karlin district. It takes only 5 to 10 minutes from the nearest metro station or tram stop. Biking is also an option. We always provide bike racks and there are a couple of bike sharing options in Prague. Public transport is by far the most efficient way to get around Prague. Closest metro stop to Forum Karlin is Krizikova (Yellow line) and tram stop Krizikova situated in Sokolovska street (tram number 3 and 8). We do not recommend you to use your own car.